The Rev. 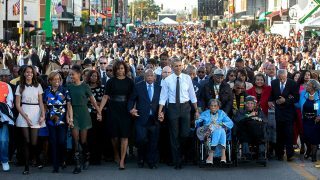 Martin Luther King Jr. devoted his life to helping others, to bringing unity and positive change. In this same vein of service and to honor King’s life mission, hundreds of members of the Alabama Power Service Organization (APSO) will perform an MLK Day of Service project in their communities. Volunteers represent each of the company’s six divisions: Birmingham, Eastern, Mobile, Southeast, Southern and Western. Last year, 6,200 APSO members volunteered about 40,000 hours in their communities, helping to strengthen families, build Habitat Homes for the needy, support schools and charitable organizations, feed the homeless and assist the state’s underserved. On Jan. 21, Magic City APSO members will commemorate King’s legacy and pay tribute to Birmingham police Sgt. Wytasha Carter, who died in the line of duty in Ensley on Sunday, Jan. 13. 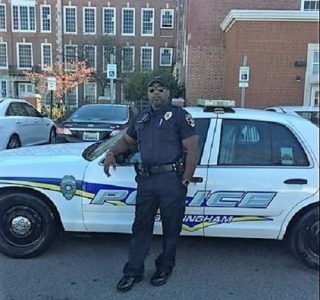 Carter is the 52nd Birmingham police officer killed in the line of duty and the first since 2004. “We want to honor Officer Carter’s life of service to the citizens of Birmingham,” said Magic City President Kaylon Mikula, who has served in APSO for 11 years. “We are dedicating the day to Officer Carter, who lived to make our lives safer. He was a friend to our East Jefferson Office, where he was our security guard three days a week. He was a great family man and a great person, and we will never forget him.” Magic City members will offer a moment of silence in remembrance of Carter as they work on projects on Jan. 21. 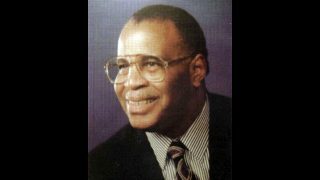 Carter worked at the company’s business office in Huffman during his off time. Mikula said Magic City members will work at Red Mountain Grace House, a Birmingham nonprofit that provides extended stays for families with a loved one in the hospital. Volunteers will set up living quarters, move furniture and decorate an apartment. Members of Magic City’s Shelby County sub-area chapter will spend four hours deep-cleaning a kitchen and pantry at the SafeHouse of Shelby County, which assists domestic abuse victims. They’ll assemble hygiene bags for women and children and organize donations. Pritchard homeowners may receive a reprieve from flooding, thanks to a partnership between Mobile APSO and the National Estuary Program. In honor of MLK Day, APSO members will install 50-gallon rain barrels at the homes of underserved clients on Jan. 23. Volunteers will form teams of three to four employees, working to alleviate urban flooding. Odom, a residential marketing specialist, said the barrels will save money for residents, allowing them to use the collected water for their gardens and lawns. While the project begins on MLK Day, Odom said it will take about six months to install 200 barrels. Wilsonville in Shelby County will get a “spruce up,” compliments of Gaston APSO members. On Jan. 18, volunteers met at 8 a.m. at the pavilion in downtown Wilsonville, traversing the area and nearby roads to remove trash and debris. 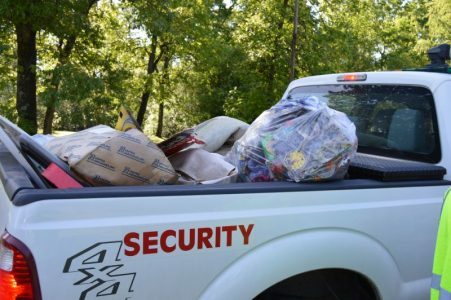 “We cleaned up to help our community,” said Gaston APSO President Jodi Webb. “We wore our safety vests and picked up trash at the city center. It’s our community and we want to make an impact where we live. “We’ll brought the bags back to our plant dumpsters, so the city doesn’t have to worry about disposal,” said Webb, a chemical technician at Plant Gaston. Today, Southern Division APSO members are ushering at the fifth annual Martin Luther King Jr. Community Celebration at the Davis Theatre for the Performing Arts in Montgomery. Southern Chapter President Katrina Davis said that about 20 APSO volunteers are working during two shifts, from 10 a.m. to 8 p.m. The event is a collaboration between friends of the theater, Troy University and Alabama State University. Volunteers will meet at West Jefferson Town Hall for breakfast before starting work. Chappell and others will pick up roadside trash and bag it for disposal. Southeast/Farley APSO members will work at the Humane Society of Barbour County in Eufaula, said Farley Chapter President Jessica Gressett. Gorgas Chapter President Dion Oliver and other members will be among thousands who volunteer in Hands On Birmingham’s MLK Day of Service on Monday. 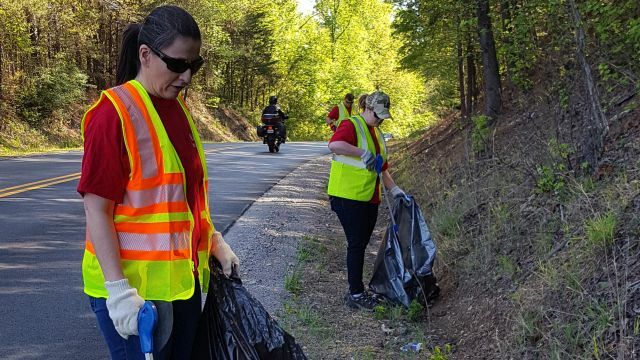 Afterward, volunteers will mobilize into groups for service projects to clean up Minor Parkway, Red Mountain Park, the Edgewater community and other areas.